Pearl River County has been selected to participate in the Family First Initiative, a pilot program aimed at preventing child neglect and reducing the number of children who are removed from their homes and placed in foster care. Chancellor Deborah Gambrell, Circuit Judge Prentiss Harrell and County and Youth Court Judge Richelle Lumpkin will lead the Community Advisory Council for the Family First Initiative. The Advisory Council will bring together government officials, private business, faith-based organizations and non-profits to work together. The Family First Initiative of the Commission on Children's Justice aims to prevent child abuse and neglect Helping families struggling in poverty is seen as a way to prevent child abuse and neglect and reduce the need for foster care. The initiative aims to address multiple needs of struggling families by directing those families to services and resources that will improve family stability and create safer home environments for children. The idea is to identify and coordinate resources, and to connect needy families with services. 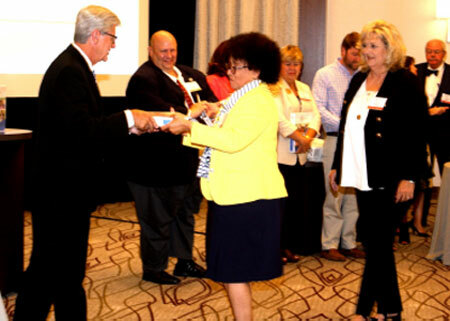 Pearl River County is among six Family First Initiative pilot programs. Others include the Metro Jackson area of Hinds, Madison and Rankin counties, and programs in Lauderdale, Lee, Bolivar and Jackson counties.